By our long-term partner Dario Botti, independent professional from Parma, Italy. “During the last four decades, Italy has been standing as a European symbol of wolf conservation success. Strict protection and deployment of non-lethal coexistence methods proved to be of key importance along this process and allowed population recovery and species recolonization along its historical range”. The smaller the remnant forest patch, the faster the species disappeared. This situation (and this image of Italy as wolf-friendly Country) could soon change, if Environment Ministry will approve the new “Wolf conservation and management plan”. Such a plan will permit to cull around 60 wolves each year. The plan will permit also to cull hybrids and to hunt free ranging dogs. Wolves in Italy have to face many difficulties and IUCN red list classify peninsular population as Vulnerable (D1) and Western-Central Alps population as Endangered (D). According to WWF-Italy, every year in Italy poachers kill 300 (three hundred!) wolves and other exemplars die in car accidents. According to Pro Natura, after the dismemberment of the State Forestry Corp (the main environmental surveillance force), the dismantling of provincial regulatory bodies and the serious economic crisis faced by protected areas, the situation could be getting even worse. In this context, measures for better protecting wolf and enhancing predators-man coexistence in Italy would seem necessary. However, it is very difficult to understand in which way culling of wolves could serve for these purposes. It is very worrying that, according to the plan, no other solutions exist to mitigate the conflicts detected. Again, given the opposition of the majority of Italian people towards hunting, it would be expected a greater effort to find other means to diminish wolf-man conflicts. Cadete D & Pinto S. (2015, op. cit. ), reviewed the management plan on behalf of LAV (Antivivisection League) and found many reasons to reject wolf’s culling. Following considerations are largely based on their work. The real number of wolves in Italy is uncertain. Instead, it is certain the very low genetic diversity of such a predator population and the difficulties to ensure to it a long-term viability. Given these conditions, establishing culling numbers seems extremely difficult. Moreover, a vulnerable (according to IUCN Red List) species should not be considered as in favorable conservation status. Culling is also counterproductive because it disrupts social structures and behaviors of wolves and it could increase conflicts with people. In the Italian context, with a so high number of poached wolves, it worsen the present precarious situation. One of the plan’s aims is also reducing risk of hybridization with dogs (by culling). 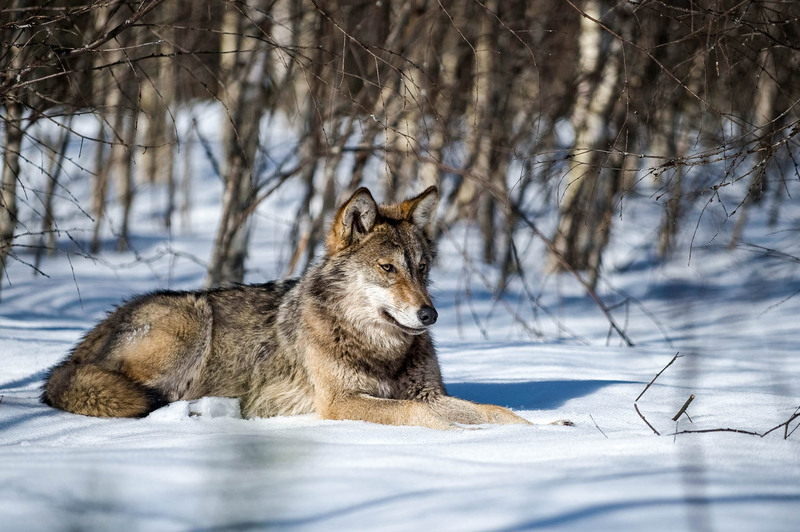 One problem is that danger of hybridization is higher in areas where survival of wolf is more difficult, so that culling could negatively affects population range. Another problem is detecting hybrid wolves with reasonable costs and reliability. It would be better to estimate real damages due to dogs and try to solve the problem of so many free ranging dogs. About social aspects of culling, it is important to note that lowering the protection level of a species could be perceived as a reduction in the gravity of poaching. In other European Countries, culling did not bring greater acceptance of wolf, nor a better coexistence with him. In fact, the effects seem to be opposite. The plan seems also underestimate the acceptance of wolf by Italian people (see the study of Glikman et al. 2011, cited in Cadete D & Pinto S. 2015). “There are no scientific and technical arguments to justify hunting and population controls as valid tools to solve conflicts or to decrease social tension. Since it is not possible to find scientific or technical justifications to justify the measure, wolf culling must be rejected for reasons of ethical nature (Haber 1996, Vucetich & Nelson 2014)”. Nevertheless, although culling is cruel and not acceptable (other than useless), it is only a mean. More important is the frame of which the culling is part. As pointed out by Pro Natura, the prevailing idea developed in the plan is to consider the wolf just a problematic element. Instead, the plan should consider wolf as a positive presence. A more general question raise now. What kind of life do we want for predators in Italy and in Europe today? Do we want that predators could occupy their proper role in a (and for a) healthier ecosystem, or they should just survive as scared ghosts constantly escaping from dangerous and hostile men in degraded landscapes? Or, again, do we prefer see them into large and secure fences, and looking at them as species in a living museum? http://www.wwf.it/lupo/ (retrieved 7 march 2016). How acceptance of wolf in Italy would help to support large forested areas?